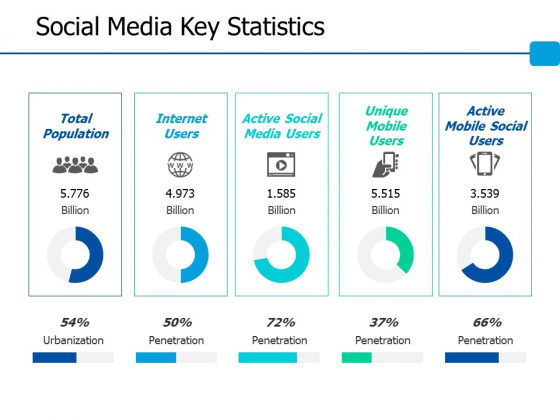 This is a social media key statistics ppt powerpoint presentation show example file. This is a five stage process. The stages in this process are business, management, marketing, percentage, product. Capture success with our Social Media Key Statistics Ppt PowerPoint Presentation Show Example File. Download without worries with our money back guaranteee. 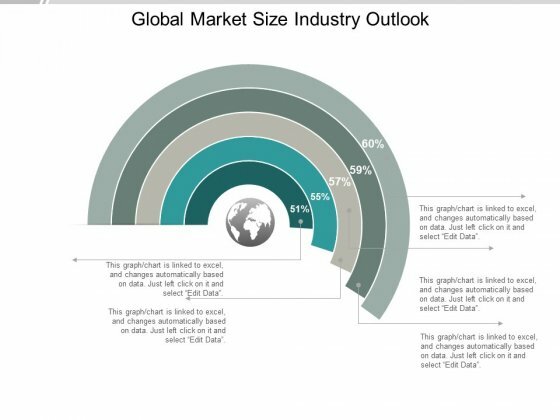 This is a global market size industry outlook ppt powerpoint presentation slides elements. This is a five stage process. The stages in this process are market size, market forecast, market potential. Face up to any adversity with our Global Market Size Industry Outlook Ppt PowerPoint Presentation Slides Elements. They will help your ideas dominate. 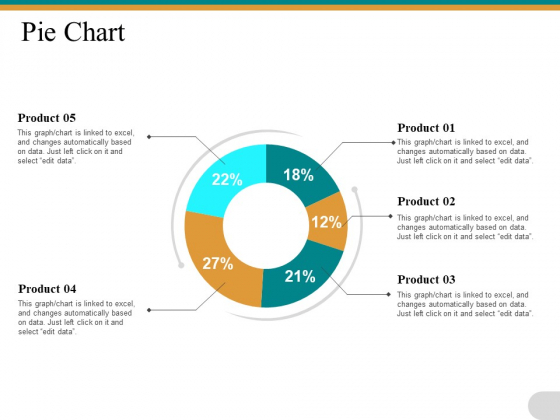 This is a pie chart product ppt powerpoint presentation gallery icon. This is a five stage process. The stages in this process are percentage, product, management, marketing, business. Impress everyone by doing a great job with our Pie Chart Product Ppt PowerPoint Presentation Gallery Icon. Ensure you don't have to look for excuses. 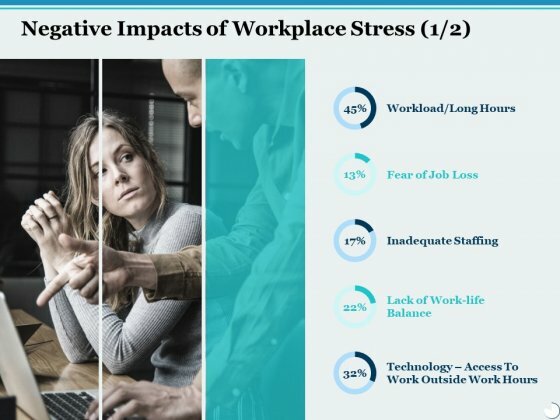 This is a negative impacts of workplace stress ppt powerpoint presentation outline slide download. This is a five stage process. The stages in this process are percentage, product, management, marketing, business. Appear as if you are bursting with knowledge due to our Negative Impacts Of Workplace Stress Ppt PowerPoint Presentation Outline Slide Download. Acquire that erudite look. This is a donut chart financial investment ppt powerpoint presentation inspiration introduction. This is a five stage process. The stages in this process are finance, marketing, management, investment, analysis. Many of your colleagues may fall for a fallacy. Advise them appropriately with our Donut Chart Financial Investment Ppt PowerPoint Presentation Inspiration Introduction. 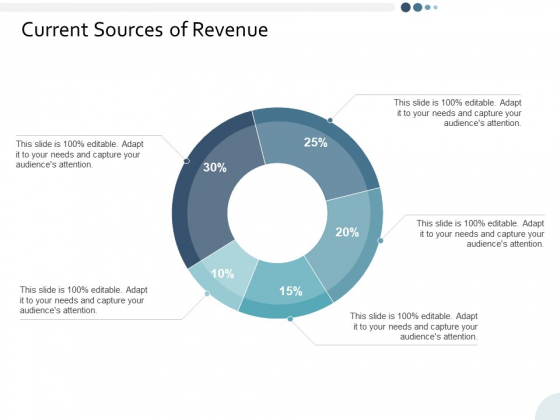 This is a potential sources of revenue ppt powerpoint presentation summary master slide. This is a five stage process. The stages in this process are business, management, strategy, analysis, marketing. Be accurate with your estimates. 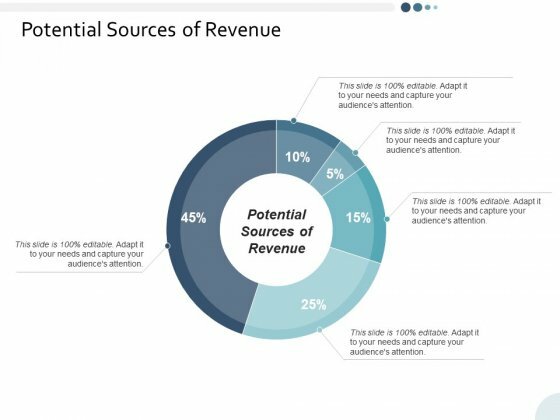 Our Potential Sources Of Revenue Ppt PowerPoint Presentation Summary Master Slide will help narrow it down. This is a current sources of revenue ppt powerpoint presentation slides guide. This is a five stage process. The stages in this process are business, management, strategy, analysis, marketing. Escape from the humdrum with our Current Sources Of Revenue Ppt PowerPoint Presentation Slides Guide. Put in the element of excitement in your talk. 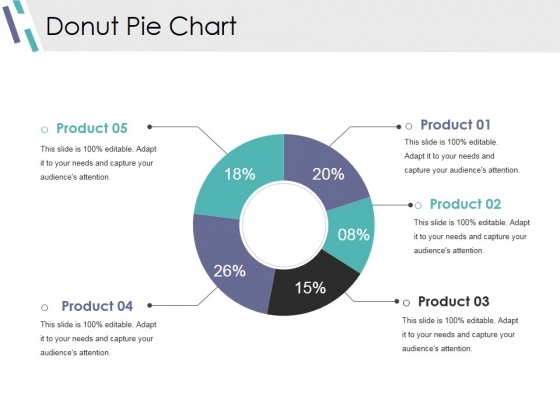 This is a donut pie chart ppt powerpoint presentation gallery design ideas. This is a five stage process. The stages in this process are business, marketing, percentage, product. Folks immediately indicate acceptance of your decision due to our Donut Pie Chart Ppt PowerPoint Presentation Gallery Design Ideas. It comes across loud and clear. 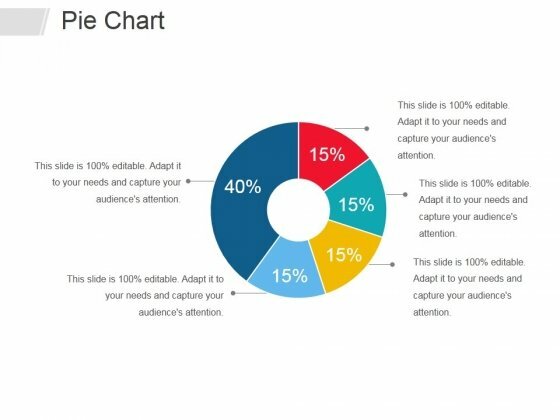 This is a pie chart ppt powerpoint presentation file slide download. This is a five stage process. The stages in this process are business, management, strategy, analysis, planning. 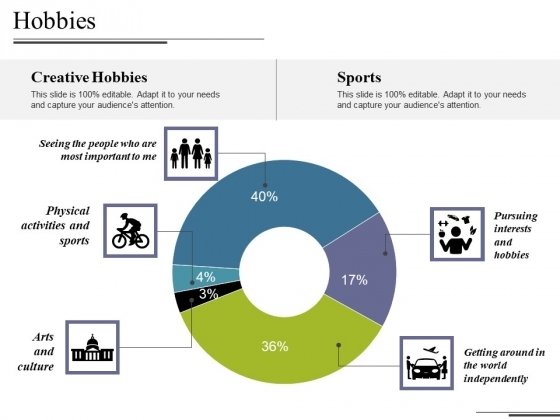 Our Pie Chart Ppt PowerPoint Presentation File Slide Download generate an interest in learning. It facilitates the growth of literacy. This is a team communication strategies temporary hire ppt powerpoint presentation model graphic images. This is a five stage process. 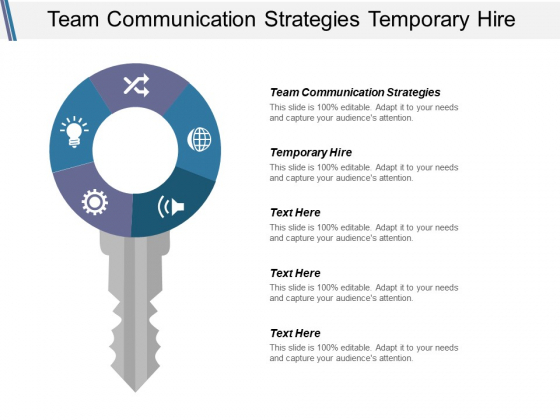 The stages in this process are team communication strategies, temporary hire. Enliven the event with our Team Communication Strategies Temporary Hire Ppt PowerPoint Presentation Model Graphic Images. Create an atmosphere of festivity. This is a donut pie chart ppt powerpoint presentation slides icon. This is a five stage process. The stages in this process are donut, business, marketing, startegy, planning. Commend the loyal with our Donut Pie Chart Ppt PowerPoint Presentation Slides Icon. Duly award acts of dedication. This is a donut pie chart ppt powerpoint presentation outline display. This is a five stage process. The stages in this process are percentage, finance, donut, business, product. Folks are loyal to the cause due to our Donut Pie Chart Ppt PowerPoint Presentation Outline Display. They agree to give it their all. This is a donut pie chart ppt powerpoint presentation outline smartart. This is a five stage process. The stages in this process are percentage, finance, donut, business, product. 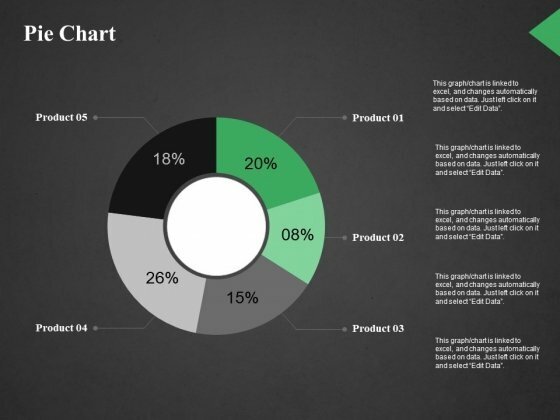 Folks feel loyal due to our Donut Pie Chart Ppt PowerPoint Presentation Outline Smartart. They develop love for the country. This is a predictive analytics stages ppt powerpoint presentation infographic template structure. This is a five stage process. The stages in this process are business, donut chart, finance, marketing, strategy. Insist on keeping it intellectually interesting with our Predictive Analytics Stages Ppt PowerPoint Presentation Infographic Template Structure. Discourage any lowbrow activity. 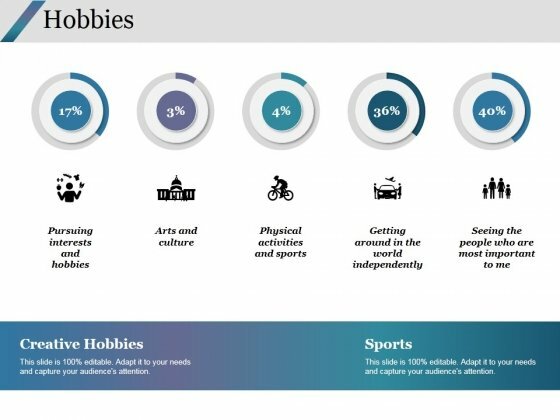 This is a hobbies ppt powerpoint presentation layouts example topics. This is a three stage process. The stages in this process are getting around in the world independently, pursuing interests and hobbies, physical activities and sports, creative hobbies, sports. 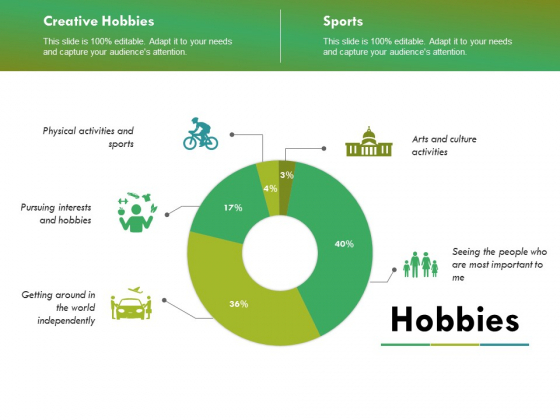 Target your audience with our Hobbies Ppt PowerPoint Presentation Layouts Example Topics. Download without worries with our money back guaranteee. This is a donut pie chart ppt powerpoint presentation show introduction. This is a five stage process. The stages in this process are percentage, finance, donut, business, product. Mastermind plans with our Donut Pie Chart Ppt PowerPoint Presentation Show Introduction. Download without worries with our money back guaranteee. 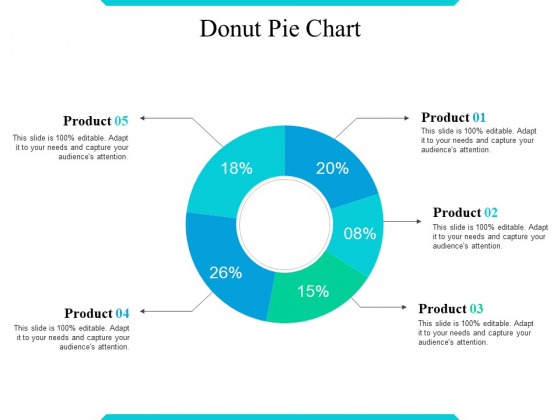 This is a donut pie chart ppt powerpoint presentation file infographic template. This is a five stage process. The stages in this process are business, management, process, percentage, chart. 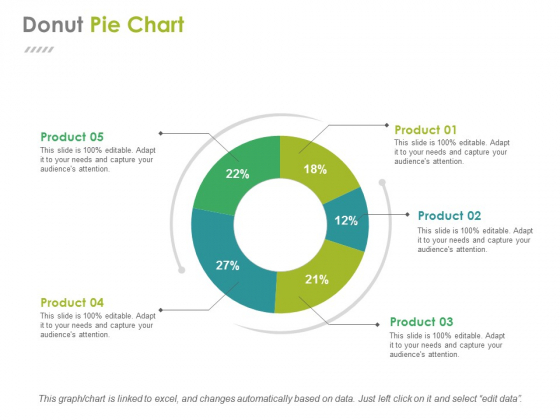 Display performance improvement with our Donut Pie Chart Ppt PowerPoint Presentation File Infographic Template. They will make you look good. 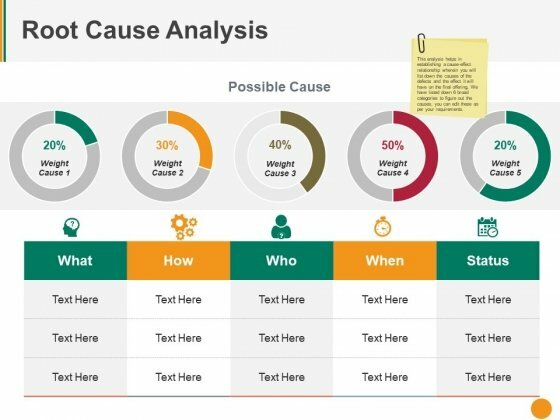 This is a root cause analysis template 2 ppt powerpoint presentation styles graphics. This is a five stage process. The stages in this process are business, icons, marketing, strategy, process. Our Root Cause Analysis Template 2 Ppt PowerPoint Presentation Styles Graphics make many a feat feasible. They ease out all difficulties. 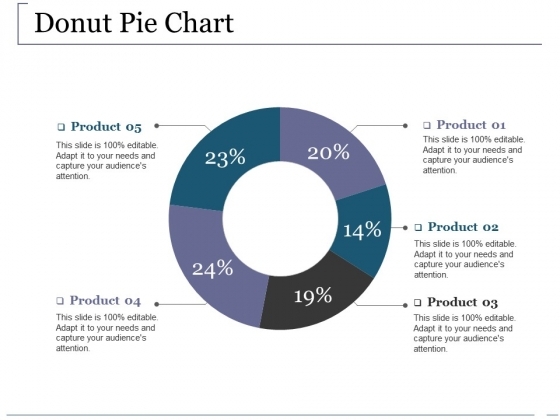 This is a donut pie chart ppt powerpoint presentation outline template. This is a five stage process. The stages in this process are business, marketing, percentage, chart, process. Put your ideas out to farm. 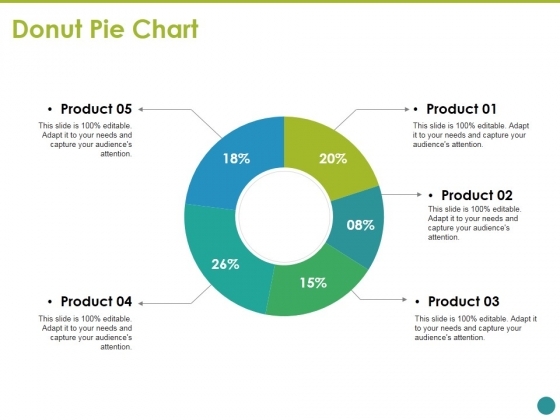 Our Donut Pie Chart Ppt PowerPoint Presentation Outline Template will get your plans to grow. This is a hobbies ppt powerpoint presentation ideas graphics tutorials. This is a three stage process. The stages in this process are physical activities and sports, pursuing interests and hobbies, arts and culture activities, getting around in the world independently. Enhance connectivity with our Hobbies Ppt PowerPoint Presentation Ideas Graphics Tutorials. They will always keep you in touch. This is a hobbies ppt powerpoint presentation outline aids. This is a five stage process. The stages in this process are physical activities and sports, pursuing interests and hobbies, arts and culture activities, seeing the people who are most important to me. With our Hobbies Ppt PowerPoint Presentation Outline Aids you will never fail. They deal you a winning hand. 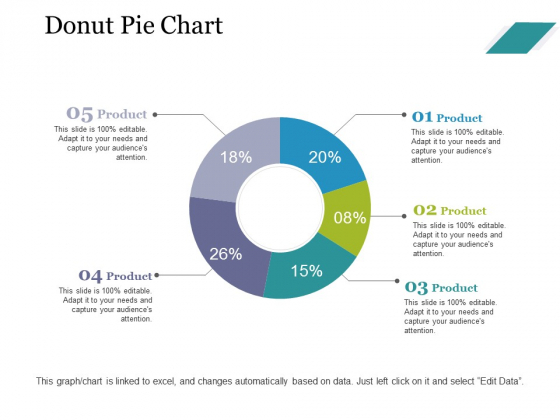 This is a donut pie chart ppt powerpoint presentation slides design ideas. This is a five stage process. The stages in this process are business, marketing, chart, percentage, process. Acknowledge laudable acts of devotion with our Donut Pie Chart Ppt PowerPoint Presentation Slides Design Ideas. Compliment loyal individuals. This is a donut pie chart ppt powerpoint presentation layouts visuals. This is a five stage process. The stages in this process are product, donut, percentage, finance, business. 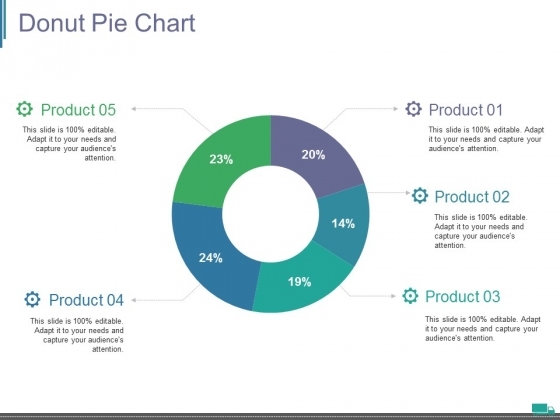 Deliver growth on a platter with our Donut Pie Chart Ppt PowerPoint Presentation Layouts Visuals. You will come out on top. This is a donut pie chart ppt powerpoint presentation show layouts. This is a five stage process. The stages in this process are business, marketing, strategy, planning, donut. 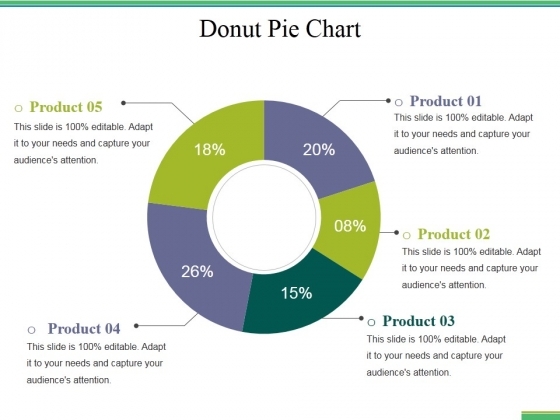 Achieve best in class with our Donut Pie Chart Ppt PowerPoint Presentation Show Layouts. They will make you look good. 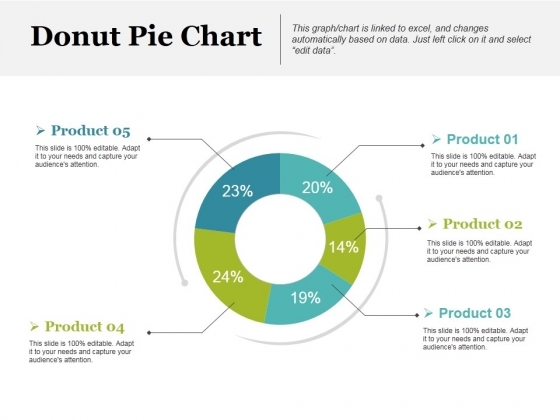 This is a donut pie chart ppt powerpoint presentation file graphics template. This is a five stage process. The stages in this process are business, marketing, chart, percentage, strategy. 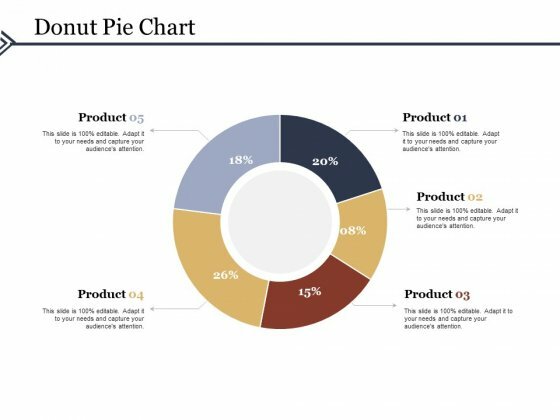 Build on your charisma with our Donut Pie Chart Ppt PowerPoint Presentation File Graphics Template. Create a definite aura around you. 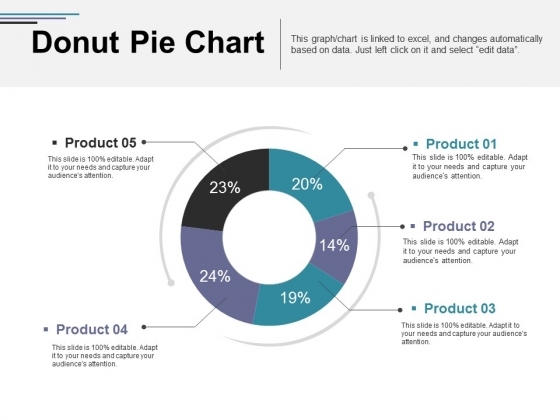 This is a donut chart ppt powerpoint presentation ideas background designs. This is a five stage process. The stages in this process are percentage, finance, donut, business, product. Fastidious conditions egg us on. 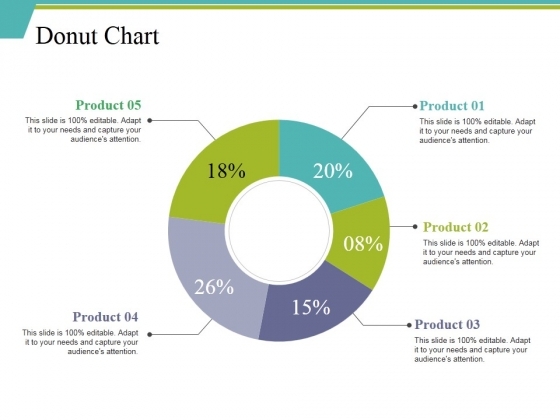 Our Donut Chart Ppt PowerPoint Presentation Ideas Background Designs team exult in challenges. This is a hobbies ppt powerpoint presentation styles outline. This is a five stage process. 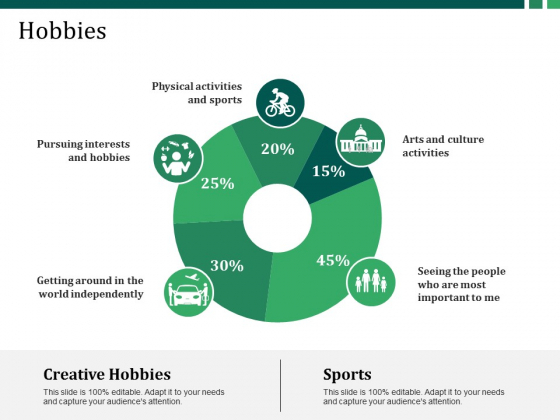 The stages in this process are creative hobbies, sports, donut chart, finance, marketing, business. 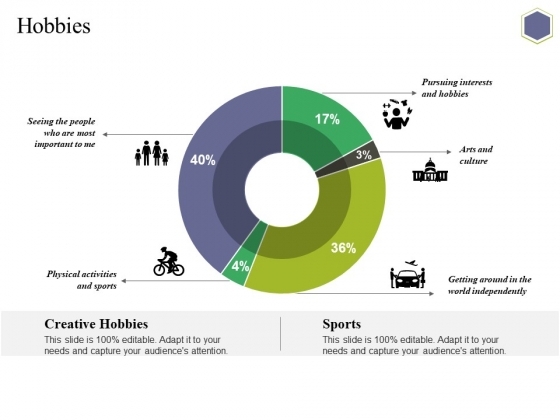 Get fascinated by our Hobbies Ppt PowerPoint Presentation Styles Outline. They will keep attracting your attention. This is a donut pie chart ppt powerpoint presentation styles summary. This is a five stage process. 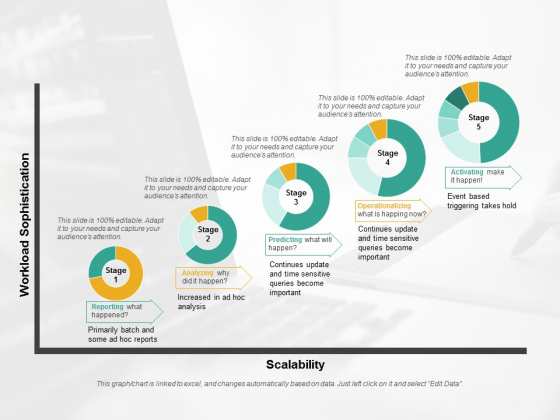 The stages in this process are business, chart, marketing, percentage, process. Display your faith in your team with our Donut Pie Chart Ppt PowerPoint Presentation Styles Summary. Demonstrate your strong belief in them. 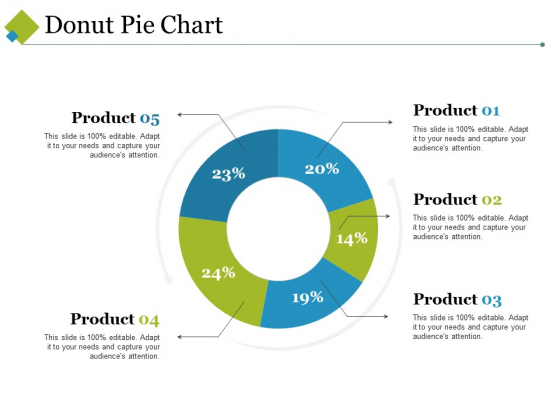 This is a donut pie chart ppt powerpoint presentation inspiration graphic images. This is a five stage process. The stages in this process are business, marketing, strategy, planning, donut. Take the escalator with our Donut Pie Chart Ppt PowerPoint Presentation Inspiration Graphic Images. Reach higher levels with relative ease. This is a donut pie chart ppt powerpoint presentation professional microsoft. This is a five stage process. The stages in this process are donut, marketing, strategy, finance, planning. Your thoughts will soon be in flower. 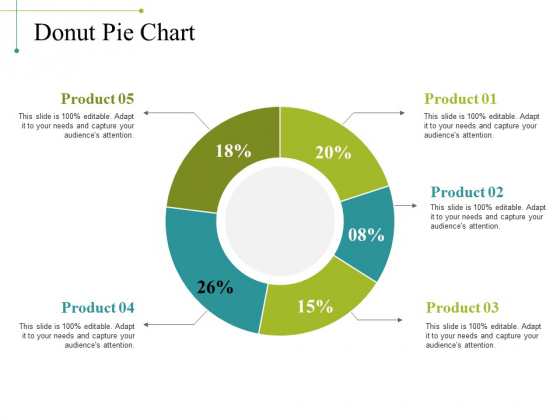 Our Donut Pie Chart Ppt PowerPoint Presentation Professional Microsoft will nurse them from bud to bloom. This is a donut pie chart ppt powerpoint presentation professional files. This is a five stage process. The stages in this process are donut pie chart, finance, marketing, investment, analysis, business. Bring in your thoughts to meet our Donut Pie Chart Ppt PowerPoint Presentation Professional Files. Go back with a definite direction to go along. 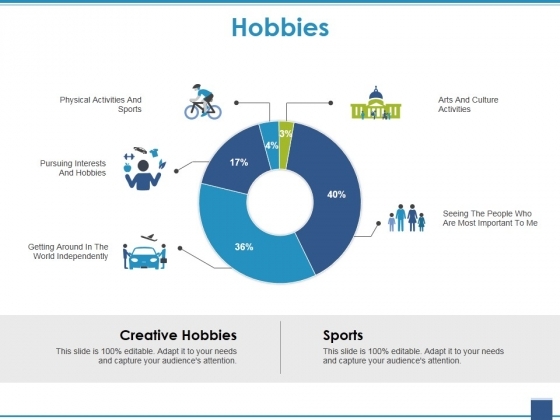 This is a hobbies ppt powerpoint presentation pictures graphics template. This is a five stage process. The stages in this process are seeing the people who are most important to me, physical activities and sports, arts and culture, pursuing interests and hobbies, getting around in the world independently. Coach subordinates with our Hobbies Ppt PowerPoint Presentation Pictures Graphics Template. Download without worries with our money back guaranteee. 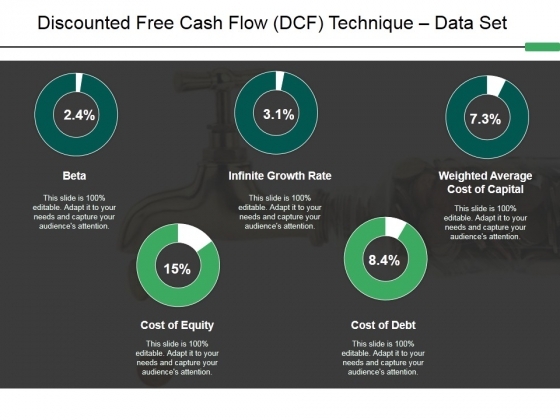 This is a discounted free cash flow dcf technique data set ppt powerpoint presentation gallery display. This is a five stage process. The stages in this process are analysis, finance, donut, business, marketing. 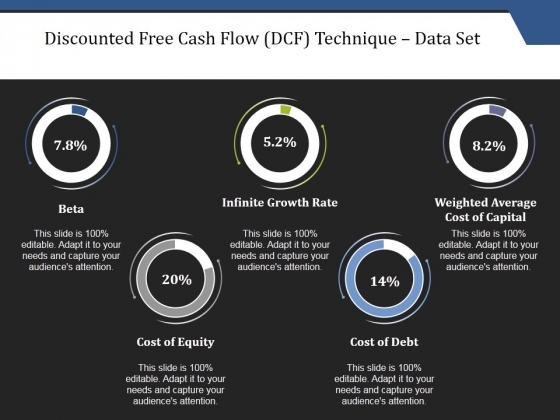 Our Discounted Free Cash Flow Dcf Technique Data Set Ppt PowerPoint Presentation Gallery Display give it a festive look. Awe the audience with a decorative atmosphere. This is a hobbies ppt powerpoint presentation show master slide. This is a five stage process. The stages in this process are seeing the people who are most important to me, physical activities and sports, getting around in the world independently, arts and culture, pursuing interests and hobbies. Well begun is half done. Get a dream beginning with our Hobbies Ppt PowerPoint Presentation Show Master Slide. This is a discounted free cash flow dcf technique data set ppt powerpoint presentation file inspiration. This is a five stage process. The stages in this process are beta, infinite growth rate, weighted average cost of capital, cost of equity, cost of debt. Put out some feelers on our Discounted Free Cash Flow Dcf Technique Data Set Ppt PowerPoint Presentation File Inspiration. They will extract encouraging responses. This is a pie chart ppt powerpoint presentation show outfit. This is a five stage process. The stages in this process are chart, business, marketing, percentage, strategy. 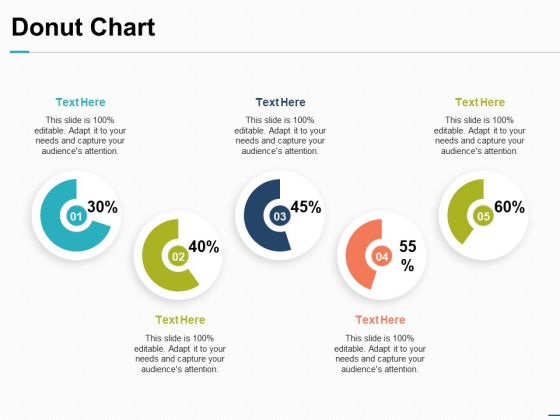 Get your approach right with our Pie Chart Ppt PowerPoint Presentation Show Outfit. They will make a definite difference. This is a hobbies ppt powerpoint presentation infographics format. This is a five stage process. The stages in this process are creative hobbies, sports, arts and culture, pursuing interests and hobbies, physical activities and sports. Our Hobbies Ppt PowerPoint Presentation Infographics Format are quite elevating.They help you ascend the ladder of success. 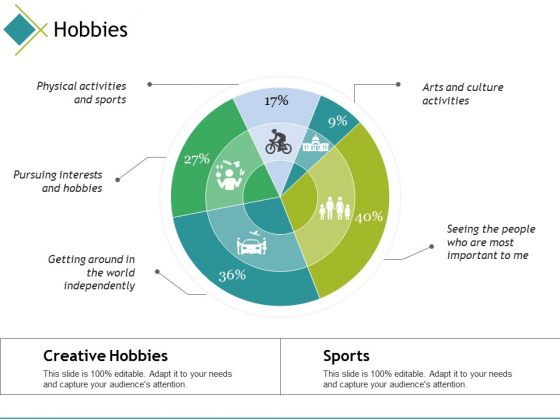 This is a pie chart ppt powerpoint presentation inspiration summary. This is a five stage process. The stages in this process are product, donut, business, percentage, marketing. Our Pie Chart Ppt PowerPoint Presentation Inspiration Summary keep the faith alive. Belief in you will get stronger. 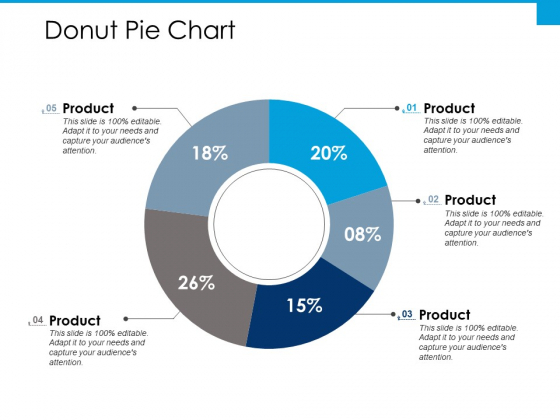 This is a donut pie chart ppt powerpoint presentation professional influencers. This is a five stage process. The stages in this process are product, percentage, finance, donut, business. 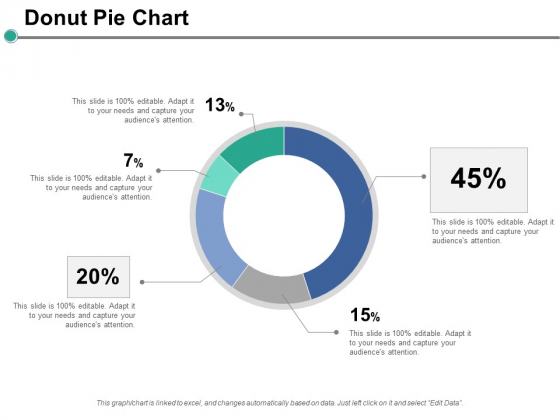 Figure on our Donut Pie Chart Ppt PowerPoint Presentation Professional Influencers for their expertise. They will prove their fibre again and again. This is a logo designing sources ppt powerpoint presentation show themes. This is a five stage process. The stages in this process are self employed, online design firm, local design, others, friends relative. Accomplish success with our Logo Designing Sources Ppt PowerPoint Presentation Show Themes. Download without worries with our money back guaranteee. This is a logo designing sources ppt powerpoint presentation outline deck. This is a five stage process. The stages in this process are friends, others, self employed, online design firm, local design. Achieve high-impact with our Logo Designing Sources Ppt PowerPoint Presentation Outline Deck. They will make you look good. This is a logo designing sources ppt powerpoint presentation slides example. This is a five stage process. The stages in this process are others, self employed, online design firm, local design, business. Empower yourself with our Logo Designing Sources Ppt PowerPoint Presentation Slides Example. Put extra force behind your thoughts. This is a logo designing sources ppt powerpoint presentation ideas microsoft. This is a five stage process. The stages in this process are others, friends relative, self employed, online design firm, local design. Enhance client confidence with our Logo Designing Sources Ppt PowerPoint Presentation Ideas Microsoft. Deepen the basis of their belief in you. This is a logo designing sources ppt powerpoint presentation professional graphics download. This is a five stage process. The stages in this process are self employed, online design firm, others, local design. Change is a constant in corporate life. Detect the correct co-efficient with our Logo Designing Sources Ppt PowerPoint Presentation Professional Graphics Download. 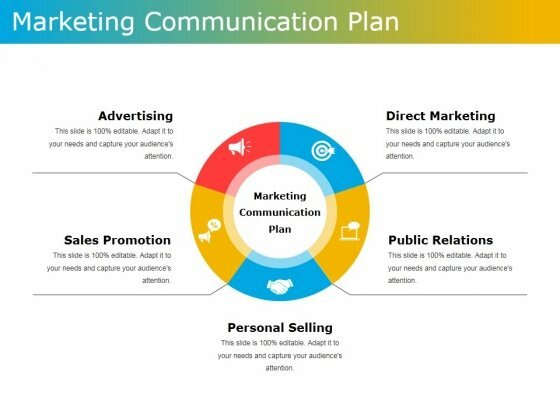 This is a marketing communication plan ppt powerpoint presentation ideas diagrams. This is a five stage process. The stages in this process are advertising, direct marketing, public relations, personal selling, sales promotion. Your audience will take a fancy to our Marketing Communication Plan Ppt PowerPoint Presentation Ideas Diagrams. They will create the desire for more. 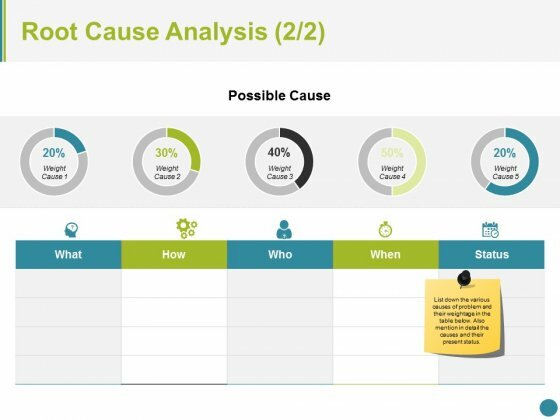 This is a root cause analysis template 2 ppt powerpoint presentation outline design templates. This is a five stage process. The stages in this process are what, how, who, when, status. Our Root Cause Analysis Template 2 Ppt PowerPoint Presentation Outline Design Templates ensure folks learn about the loyal. They become aware of acts of honor. 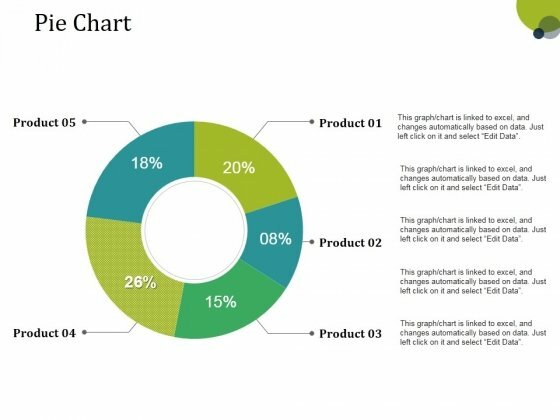 This is a pie chart ppt powerpoint presentation infographics templates. This is a five stage process. The stages in this process are business, percentage, management, process. 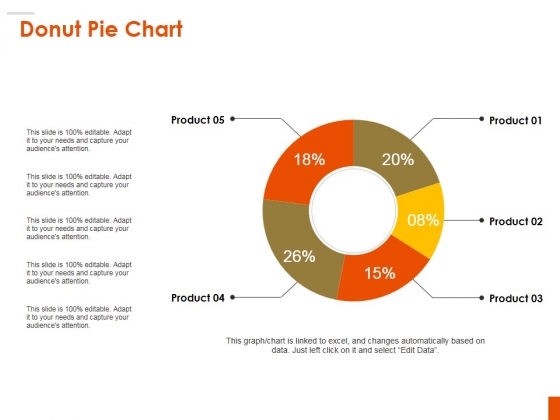 Loyalty is important to our Pie Chart Ppt PowerPoint Presentation Infographics Templates. It endeavors to honor commitments. 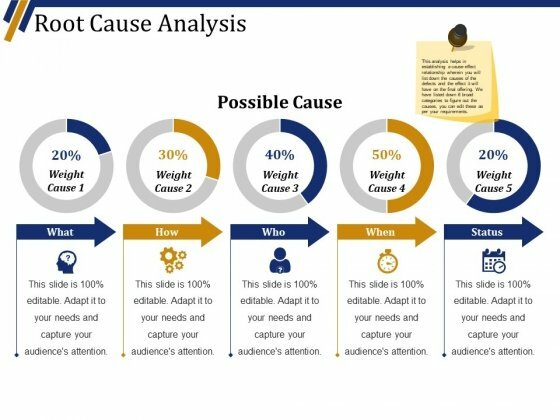 This is a root cause analysis template 2 ppt powerpoint presentation outline slides. This is a five stage process. The stages in this process are what, how, who, when, status. Acknowledge laudable acts of devotion with our Root Cause Analysis Template 2 Ppt PowerPoint Presentation Outline Slides. Compliment loyal individuals.